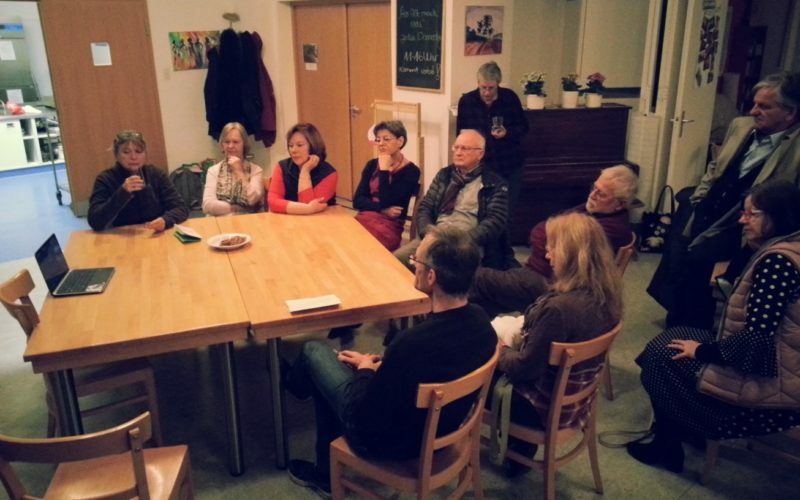 Our first Co-Design meeting to start a project that will recover half a square of Schützenplatz for the community. On this first meeting we revised the general aspects of the project: Like size, materials, time to build, time to play and actors involved. The community had also the opportunity to chat via Skype with Basurama Kollektiv from Spain who will support the project with some design ideas based on their experience with Up-Cycling mateials.